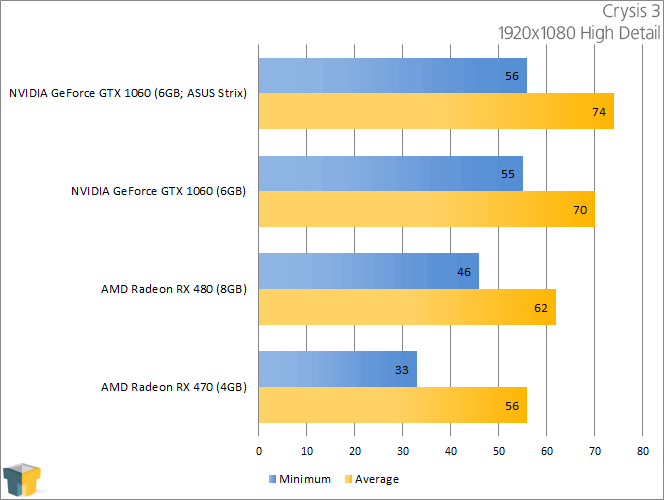 We discovered a couple of months ago that NVIDIA’s GeForce GTX 1060 delivers excellent 1080p performance and admirable 1440p performance, so what happens when ASUS straps on an even larger cooler and gives the card an overclock? Well, we get the Strix, an LED-equipped beast of a card that runs cool and quiet. Thanks to the fact that DICE cares more about PC gaming than most developers, the Battlefield series continues to give us titles that are well-worth benchmarking. While Battlefield 4 is growing a little long in the tooth, it’s still a great test at high resolutions. 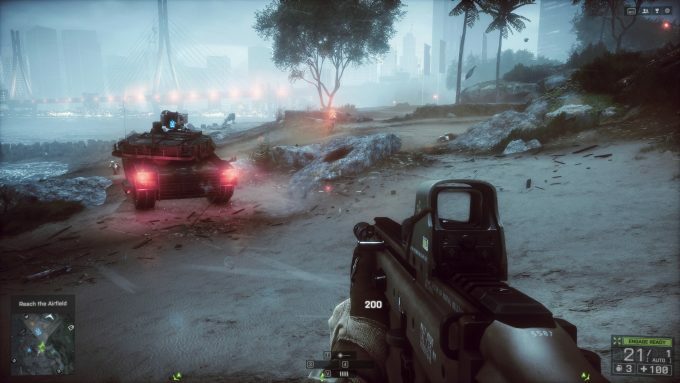 Once Battlefield 1 drops, we’re sure to replace BF4. 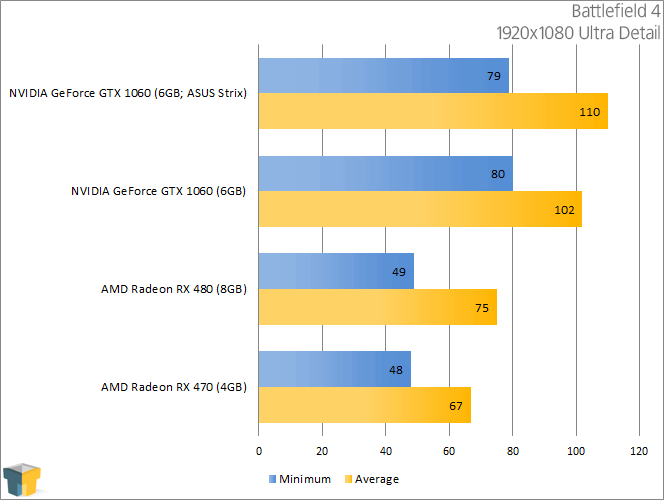 Just as we’d expect, the ASUS Strix edition GTX 1060 is a bit faster than the Founders Edition. 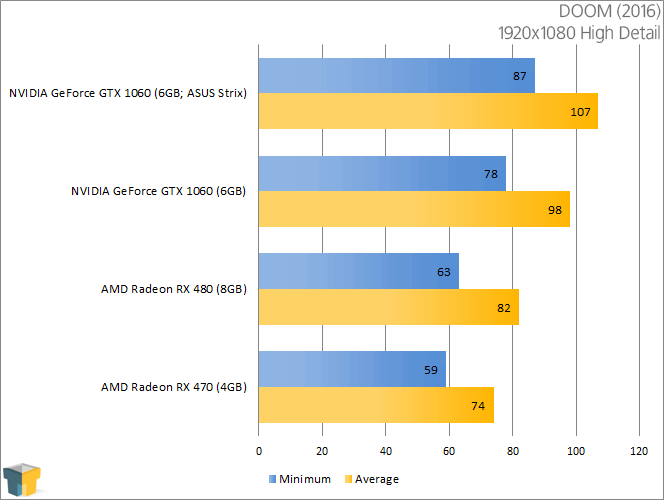 Given the close frame rates in both games, I’d wager that no one would notice the difference between the two cards, but we’d of course always recommend going with the option that is going to give the best performance overall. 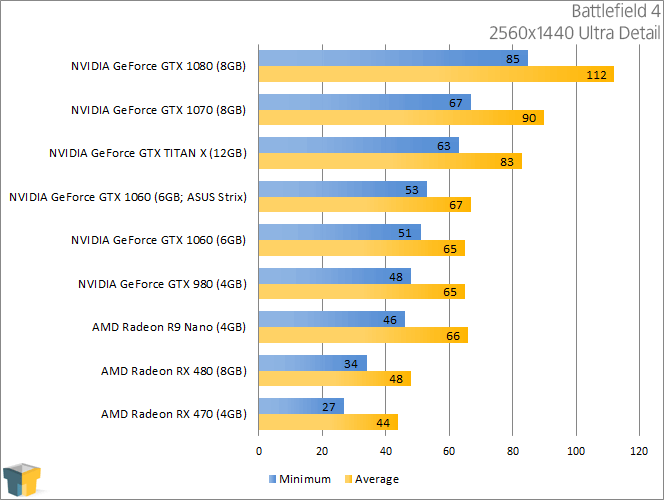 A huge gain might not be seen here, but it could be in other titles… such as Crysis 3? 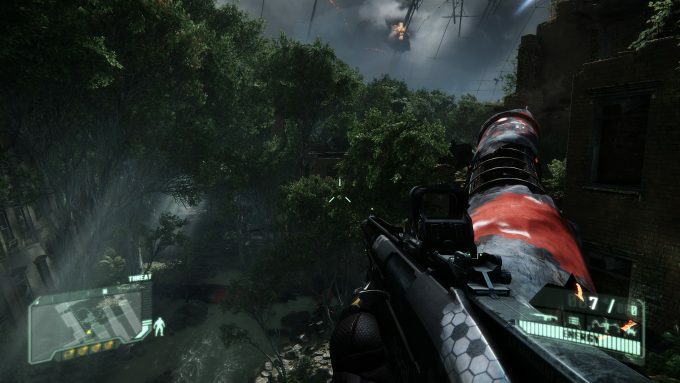 With Crysis 3, you can begin to see why we called the GTX 1060 a “Great” card for 1080p gaming on the first page of this review. 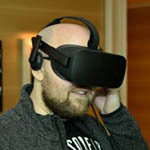 Here, the frame rates were undeniably great, but can we still say that about forthcoming games? 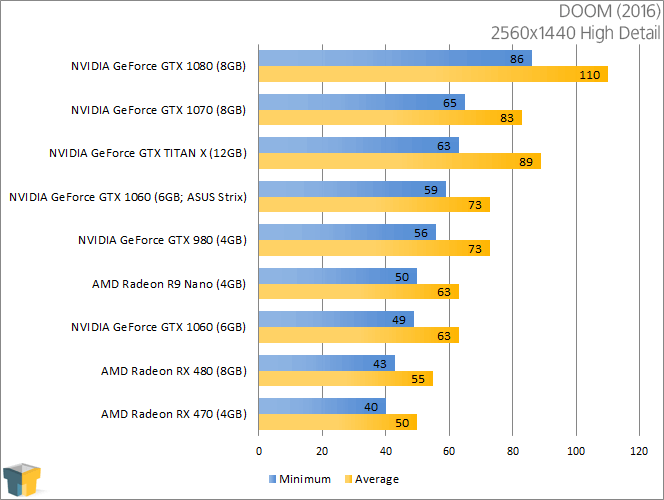 There’s not a ton of leeway before we begin seeing sub-60 FPS performance. 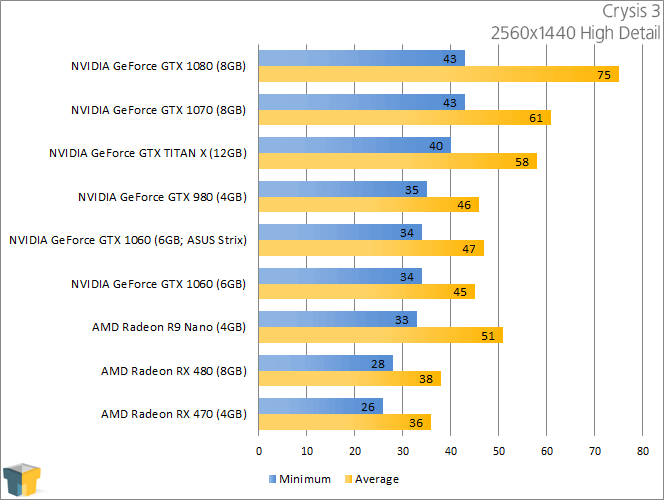 At 1440p, the card still performs admirably, but the settings would have to be dropped quite significantly to deliver that 60 FPS we seek so bad. 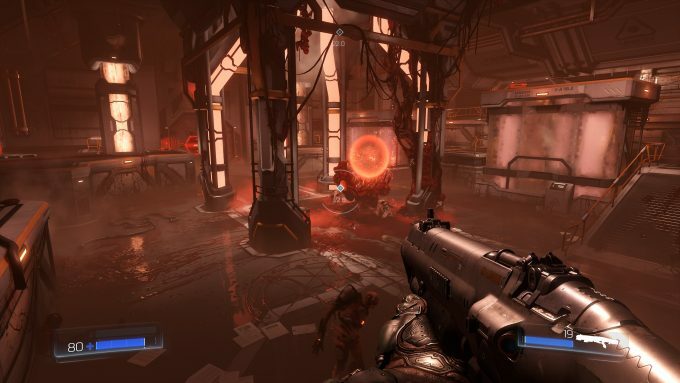 DOOM is no problem for the GTX 1060 at 1080p, or even 1440p, considering 60 FPS can still be hit. That’s at High detail, to boot. It’s like this card was made for this game.